Ever since the signing of the Trade and Economic Cooperation Agreement in 1985, Western Europe has eyed China uneasily across an increasingly one-sided trade table, knowing it could not survive without the emerging economic powerhouse, but fearing it could not survive with it. This relationship hit a further stumbling block at the beginning of 2005 when the lifting of worldwide textile quotas released a torrent of Chinese textile exports onto Europe. With consumers and retailers calling for the release of more than US$70 million in textiles impounded in ports and warehouses, and the EU threatening to impose a 7.5% annual import growth limit, a trade war loomed. Urgent diplomatic talks eventually delivered a compromise solution as China agreed to voluntarily limit growth in EU-bound textile imports to 10% a year until 2008. But equally significant was the evolution of an uneasy relationship into a strategic partnership of mutual advantage between two of the world's key trading blocks. European Chamber Executive General Manager Giorgio Magistrelli sees the "Bra Wars" as an example of how productive Sino-European dialogue can be. "Everyone won," he said. "China managed to export more than the initial quota, European companies purchasing the goods acquired what they were after, and the consumers in Europe were able to have the products they were after." Speaking to Europe's High Level Group on textiles and clothing in June, EU Trade Commissioner Peter Mandelson outlined his view of China as a "responsible and valued partner" rather than the target of a protectionist backlash from Europe. With Sino-European trade having grown 70-fold over the last 30 years, elevating China to the position of the EU's second largest trading partner, constructive dialogue with Beijing has become a key ingredient to overall economic stability. Trade between the two amounted to US$176.33 billion in the first 10 months of 2005, almost as much as for the whole of 2004. After the US, China is the second-largest worldwide exporter to the EU, exporting US$116.27 billion worth of goods in the first ten months of 2005, a 23% increase on the same period in 2004. Imports from the EU have also been growing with China now the EU's third-largest export market worldwide. Exports generated US$60 billion between January and October 2005, and the whole year figures are likely to match if not surpass the US$70 billion taken during 2004. Despite the primacy of the EU's dealings with China in Europe, it is through bilateral relations that China seeks to influence Western Europe. This provides the backdrop for political maneuvering in exchange for trade deals, cooperation agreements, and project contracts (See: The Hu-Wen road-show). Germany is China's largest European and most equal trade partner, the US$51 billion worth in trade over the first 10 months of 2005 giving China a relatively narrow surplus of US$790 million. Not so second-placed Britain, which has a US$10.96 billion trade deficit with China on a total trading volume of US$19.84 billion to the end of October. France comes in third with trade worth US$16.63 billion over the same period. Bilateral trade talks give China leverage to push for individual countries to take a more liberal stance on issues such as Europe's post-Tiananmen arms embargo and the continuing refusal to grant China market economy status. The latter is particularly galling for Chinese exporters, as it allows Europe to use anti-dumping laws to block the passage of otherwise legitimate products. In the last seven years, more than 500 anti-dumping suits have been leveled against China, making it the world's top anti-dumping target. Under the terms of China's 2001 accession to the World Trade Organization, members of the trade body can treat China as a "non-market economy" until 2016. Although 43 nations have already recognized China as a full market economy, major trade partners such as the US, the EU and Japan, have yet to do so. According to European Institute for Asian Studies research fellow Dr Sebastian Bersick, China is unlikely to get its way in the immediate future, at least not until a new co-operation framework currently under negotiation is finalized. "The demands of the Chinese side have not been fulfilled so far and they will not be fulfilled in the near future," he said. Bersick predicts the framework will be "tough work", not least because of issues like human rights, which are also widely touted as a barrier to trade. Don't rule out what a fat contract can do for Western European pragmatism, though. Attending the EU-China Summit in Beijing in September, British Prime Minister Tony Blair emphasized the correlation between foreign investment and civil and political rights – before overseeing a series of contracts drawn up between British or European firms and China. Western Europe is banking on exploiting comparative advantage in key trade areas with China. With the Chinese market for luxury European goods estimated to rise to about 250 million people in less than a decade, Mandelson has urged Europe to focus on technology, leaving low-end manufacturing to Asia's cheap labor pools. The theory is that high-value exports will eat into the region's growing trade imbalance with China, which ballooned from US$37 billion in 2004 to more than US$56 billion in the first 10 months of 2005. "The Europeans cannot compete with the cheap labor costs in countries like China and therefore what they have to do is deliver better quality," said the European Institute for Asian Studies' Bersick. "But here we see that China is catching up, so one has to appreciate that the production of T-shirts will not be the future of the European economy. [A knowledge-based economy] is probably the only strategy that the Europeans have left." But Europe may not be king of the tech hill for long. 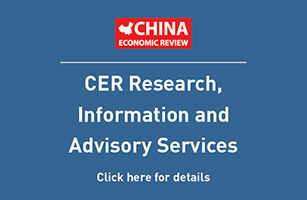 With China's share of GDP spent on R&D likely to exceed that of Europe by 2010, it is China's rapid rise up the technology ladder that critics of the knowledge economy approach argue poses the real long-term threat to Europe. They predict a new wave of protectionism around the corner. In the meantime, diplomacy and pragmatism look set to continue to provide opportunities for businesses and consumers in Western Europe and China alike. Noting that a China Chamber member survey found that 86% of European companies were optimistic about their prospects, the European Chamber's Magistrelli believes the improved diplomatic relations are already paying dividends. "Of course there are concerns, but primarily European companies are positive about the future here in China," he said.